Pets bring great pleasure to many residents and are good for our collective wellbeing. Information about pet registration and exemptions, reporting lost or found animals, locating off-leash dog parks and the policies or legislation in relation owning pets is provided to encourage responsible pet ownership in our local government area. Wild animals including bats, possums, and feral cats aren't managed by Council unless the animal has attacked or harmed a person. For all dog attacks, call our Customer Service Team on 1300 581 299 to ensure the matter is promptly referred to Council's Animal Management Contractor who will attend the location immediately. You can report a lost or found animal or any other animal concern online using the link provided. Registering your pet is compulsory and guarantees lifetime registration in New South Wales. Pet microchip records can only be created by a Vet, an authorised microchip implanter or a council. You can create a user profile to register your pet online with the NSW Pet Registry. Have your driver's license, passport or medicare card handy. Pet owners and breeders with an online profile, can update their details, notify the Pet Registry if your dog or cat is missing, pay registration fees online and register ownership changes. Concessions are available if your pet is desexed or you are an eligible pensioner. 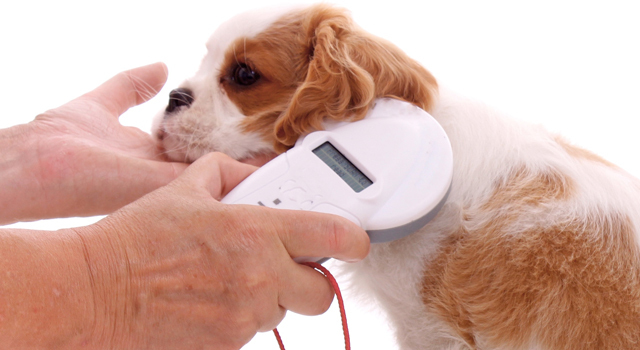 Dogs and cats must be micro-chipped at 12 weeks old by a Vet or authorised microchip implanter and must not be sold unless micro-chipped (even if the animal is less than 12 weeks old when it is sold). Dogs and cats must be registered at 6 months old. Registration is a one-off process that applies for the life in New South Wales. Registering your pet helps us quickly return your animal to you if it is lost, injured or stolen. To pay online you will need to create a user profile with the NSW Pet Registry. If you have registered your pet previously, you can verify your pet's registration on the Pet Registry website and update your address. You can also download the change of address application form. Check the signs at each site for specific times and other regulations, and don’t forget to ‘scoop their poop’. Fines and or imprisonment, or seizures, apply for breaches of the Act. If you can't agree on a solution to the problem, contact Council on 1300 581 299 to request Council Rangers attend. A Council Ranger will follow up on your complaint and contact you to discuss. Should the problem continue, the ranger can issue a nuisance order to the dog's owner, who may be fined. Repeatedly causes substantial damage to anything outside the property on which it is ordinarily kept. Rangers and other Council staff regularly visit local parks, including designated off-leash areas, to make sure pets and people are doing the right thing. We try to respond quickly to reports of incidents and will investigate and take appropriate action where possible. Under NSW law, cats unlike dogs, are allowed in public places without being on a leash or under the effective control of a person but prohibited in food preparation and consumption areas (within 10 metres). Rangers cannot simply pick up stray cats – they might be someone's pet and there are strict provisions for the seizure and impounding of a cat. Repeatedly damages anything outside the property on which it is ordinarily kept. Rangers can seize a cat in areas where they are prohibited, such as a wildlife protection area, commercial kitchen, restaurant or café. Rangers can also seize cats that have injured a person or another domestic or native animal. Notify us if you see a cat in a prohibited area or an attack. Don't encourage stray cats to stay in your area and keep your garbage bin closed. There are many sprays and repellants available on the market to deter cats form frequenting areas where they are unwanted. If a Council Ranger is satisfied that a dog or cat is causing nuisance, they may issue an order to the owner of the animal requiring the owner to prevent the behaviour that is alleged to constitute the nuisance. The owner has 7 days after the date the notice is given in which to object to the proposed order. An order remains in force for 6 months after it is issued. Any subsequent fines issued to owners of nuisance animals are substantially higher in value. If a nuisance is detected and infringements are issued on more than 5 occasions, Council MAY issue the owner of the dog with a Court Attendance Notice. You can make a complaint about a dog or any other domestic animal online or call us on 1300 581 299.